On Thursday, the television show The Doctors aired an amazing segment on our family, blog and book. It was more in-depth and informative than any interview we’ve done before and they handled the topic with such empathy, support and compassion. Following is our 30-minute segment broken up into five clips. 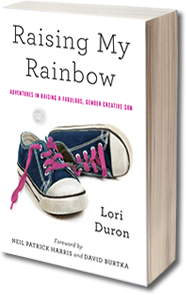 Supporting Gender Nonconformity: Parents Lori and Matt Duron open up about their decision to support their gender-creative child. Gender Nonconformity Vs. Transgender: Gender therapist and licensed clinical social worker Darlene Tando explains the difference between transgender and gender-nonconforming individuals. Struggles of Raising a Gender-Creative Child: Parents Matt and Lori Duron reveal the most painful parenting struggles of raising their gender-creative child. Parents Discuss Bullying of Gender-Creative Child: Parents Matt and Lori Duron discuss some of the hate mail they have received for supporting their gender-nonconforming child. So, that is how you can see us online. Here’s how you can see me in person (sorry, C.J.’s Dad and the boys have to stay home). 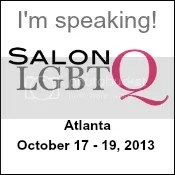 At 3:30 p.m., I will be on a panel titled “Telling My Story: LGBT Memoir” and I will be signing books afterwards. The 12th Annual West Hollywood Book Fair will feature literature, art, music, performance and community in an eclectic presentation. Admission is free, so stop by and say hi! At 7 p.m., I will be speaking at the Corvallis-Benton County Public Library in the Main Meeting Room. The event is free and open to the public. Parents of gender nonconforming children are invited to a special visit with me at the library from 6 to 6:30 pm. This session is free but sign up is required; parents can email Robin Fosdick at robin.fosdick@corvallisoregon.gov to register. An extra special thank you to the Friends of the Corvallis-Benton County Public Library and the Hilton Garden Inn for sponsoring this event. This entry was posted in All Posts and tagged Dr. Sears, Dr. Stork, gender creative, gender nonconforming, raising a gay child, Raising My Rainbow, The Doctors. Bookmark the permalink. Lori, You and your husband are literally heros to me. You are changing my life, my children’s lives, you are giving me strength and courage. I thank you from the bottom of my heart. Thank you Thank you Thank you. One of my 2 children is similar to CJ; but unlike CJ, born a boy, she asserted that she is a she at only 23 months and has been adamant about being a girl since she could talk. We have been blamed and ostracized by many and it has been the hardest time in my life. I met you briefly at Gender Spectrum. Your book was wonderful. I devoured it in one night. I wish I could follow in your footsteps and speak out more publically but I fear doing so would not honor my childs wishes since she already does not want anyone to know she was born a boy. I’ve contemplated a anonymous blog. I wonder if you would have any thoughts on the subject? It has been quite a journey so far that is for sure. I had heard of being transgender prior to all of this but I was pretty clueless initially. My child Loves Barbie but it was a sheet of princess stickers she discovered that was our turning point. Poor baby slept with her sheet of princess stickers before we figured out what on earth to do. I do not have the words to adequately thank you for putting yourselves out there to educate the public. You are a amazing family. I am so incredibly grateful for you! I wish that the world had millions of parents like you.. It should be required to take parenting and psyche classes BEFORE people can become parents… Too many people try to control their children to be what THEY want.. not good.. You all are great..
Wow, everything is happening so fast for you. Hope you got our gift package okay! Thanks for sharing your story and your family with “the viewers at home.” I think you’re doing a great job with your boys. I wish more parents of every kind of child would have the courage to let them be who they are without pushing them into society’s ideas of what boys and girls do. Gender Dysmorphia is such a cruel and outdated idea. Thank you for being trailblazers!! This was great to watch with my son. We watched the transgender/gender nonconforming clip and he said, “This boy is like me!” I think it was the first time he saw another boy like himself. Thank you! Thanks for the links…… unfortunatly the videos of the doctors show are difficult to watch…… It loads extremely slowly, keeps stopping, often after only a second or two….. Hard to even follow the dialog at this pace. Backing up and restarting didn’t work….. Wonder if others are not having this probem? I have no problems with the video on “The Doctors.” You might try unplugging your modem and wait 5 minutes and plug it in again. Most of the time that resolves those types of issues. If that does not work, than you either have a viruses on your computer, or your Internet Service provider is having problems…give them a call. I have my own computer company. Hi tracykarin, Thank you for your suggestions. I’m sorry I wasn’t able to unplug the modem at the time this was happening, but I have since, and you are correct, the problem is mostly solved. I don’t know if you’ll see this (since this post is now so old) but thanks. I plan to finally watch ALL the segments Lori listed. Hi MM! Glad unplugging the modem took care of your problem! Hope you have a Safef, Healthy, and Happy New Year! It was an awesome show! You and Matt really helped the general public come to see how gender expression doesn’t have to be so rigid. It was really informative and incredibly well-done. I’m sure that you opened minds. That was an extremely informative video on “The Doctors,” explaining the terminology and differences of gender issues! Fear will be overcome by knowledge! Thank you Lori and Matt! Dear Tracy, I hope that you are right about fear being overcome by knowledge.. BUT some people arn`t interested in the facts. They have spent a lifetime building up there own dumb assumtions. and they like their own opinion… However wrong they may be. I`m sure you have met these geniouses… They wear me out.. some people love to hate… AND then they call themselves christians, besides.. Go figure.!!! There are just some people bent on making life miserable for others and there is nothing we can do about that. These people that you speak of hide behind the cloak of religion, promote their twisted agenda through very vocal and hurtful demonstrations, and spread their hate through the media. No matter how much medical or scientific evidence you present to them…they will turn a blind eye and ear to us. Unfortunately, that’s the world we live in. But we will stay strong and not waver and with people like Lori and Matt who have unconditional love and support for their children and the courage to inform, support, and help others…we will prevail! Let’s put a smile on our face and be proud!